The main task of hospitals and other healthcare providers is to offer patients the best care. To do so, they need a key skill that isn’t automatically associated with healthcare: project management. The healthcare industry faces many of the same challenges as other industries, with some very particular stress points. Efficient processes are vital, not just to decrease costs and increase revenues and gain a competitive edge, but to offer the highest quality care. They also face much more scrutiny from various stakeholders, such as government and private agencies, health insurance companies, and of course, patients. 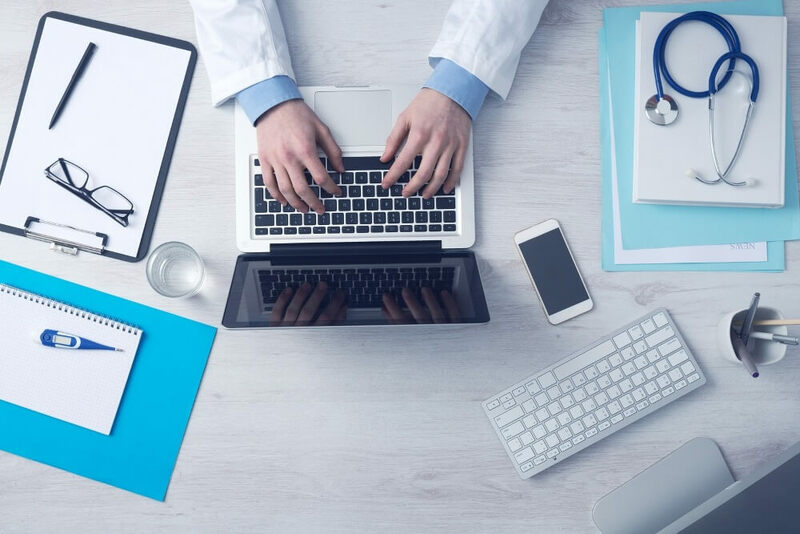 These demands mean, that healthcare organizations need to make an effort to run more efficiently to be able to manage the increasing patient numbers - and their increasing demands. Healthcare is changing. Americans spend more than ever on healthcare, e.g. more doctors’ offices visits and more spending money on brand-name drugs, and healthcare costs are expected to increase even more. While this leads to a higher demand for healthcare professionals, it does not translate into a productivity increase as, compared to other industries, healthcare has the slowest productivity rate across time. Healthcare projects are unique and you won’t find a lot of these types of projects in any other industry, e.g. projects to implement new approval processes for helicopter landing or a project to reduce errors in the operating room. More so than in other industries, the success or failure of healthcare projects can mean the difference between life and death. Which is why applying project management to healthcare processes and structures is so important, because it enable hospitals to run more efficiently and as a direct result offer more affordable and higher quality care to patients and ensures safety in the hospital. Hospitals can use methods such as Lean, Six Sigma or the 5S to identify and eliminate wasteful processes, and as a result save valuable time. Emergencies need acute medical care and timely treatment, in many of such cases delays can be fatal. Which is why healthcare providers need to make sure that the process from admittance to the hospital to getting the patient to the operating room is as quick as possible. These types of processes can be standardized and optimized, and enable hospitals to offer better care for patients. Planning is key – in project management and healthcare. Planning tasks and scheduling is challenging in the healthcare industry, particularly in hospitals. Each department has different activities, and each employee has a specific role and tasks they need to complete. Most tasks also face various external and internal constraints, and often also depend on one another. For example, before an operation nurses have to prepare the patient for it, then the anesthesiologist has to anesthetize them before the operation can begin. So if one tasks hasn’t finished, the next one can’t start. Having a complete project plan enables hospital employees to understand their own role and responsibilities, so they know exactly what they need to do, when they need to do it, and where they need to be. The healthcare industry has experienced incredible growth due to medical and technological advancements. While this helped developing more efficient and effective treatments, it also came with high costs. In order to keep costs low, healthcare providers need to control the costs by choosing the right projects to implement, i.e. those that create the most value to the organization, and by planning these projects carefully and avoiding costly scope creeps and project failures. Project management tools enable hospital leaders to create more accurate budgets and gives them the ability to control these budgets. Healthcare teams need to work extremely close together, not just within a department, but also across departments or even across hospitals. Depending on a patient’s medical condition, they will be treated by several different physicians at the same time. These physicians need to coordinate their efforts, such as making sure that they prescribe the right drugs to the patients, and also that these drugs are compatible with each other. So effective communication is essential – for the healthcare organization as well as the patient. Defining clear communication processes and channels, make sure that everyone has immediate access to important information. All of the above mentioned improvements ultimately lead to better stakeholder relations. Healthcare providers deal with a multitude of stakeholders, who each have different expectations and requirements: e.g. the government wants to ensure that laws are being followed, insurers want to know exactly for what they’re paying, and patients who want affordable care at low costs. Implementing project management tools and methodologies enables healthcare providers to meet the requirements of the various stakeholders by improving processes, budgeting and communication and overall project planning. 5 Project Management Lessons for the Healthcare Industry - InLoox • Copyright 1999-2019 © InLoox, Inc. All rights reserved.